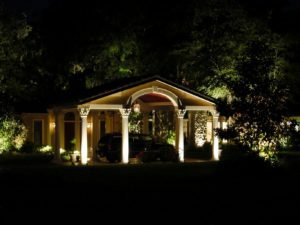 As a Florida Certified Specialty Electrical Contractor, Enlightened Designs understands the national and State of Florida code requirements for the proper installation of low-voltage landscape lighting. In addition, we possess the design and technical experience to deliver an exceptional residential or commercial lighting plan that exceeds your expectations. Accurate installation helps prevent costly system outages that occur with an overloaded system. Licensed lighting contractors understand the science of electrical balance that allows all lamps to operate at the optimal levels. We are dedicated to providing the highest quality fixtures, design, installation and maintenance solutions to our residential and commercial customers who wish to enhance the beauty, value and safety of their landscapes.